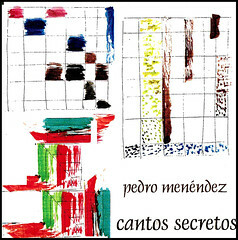 PEDRO MENENDEZ: Flute, Piano, Guitar, Synthesizers, Vocals. GUSTAVO DOMINGUEZ: Drums (5,6), Percussion (2,8). CARLOS LUCERO: Guitar (1,3), Sampler Bass and Drums (1). BERNARDO BARAJ: Soprano Sax (5). DANIEL BUONO: Double Bass (6). ALEJANDRO CAVALLI: Double Bass (8). CONTEMPORANEO ART MUSIC, Buenos Aires, Argentina, 1989.